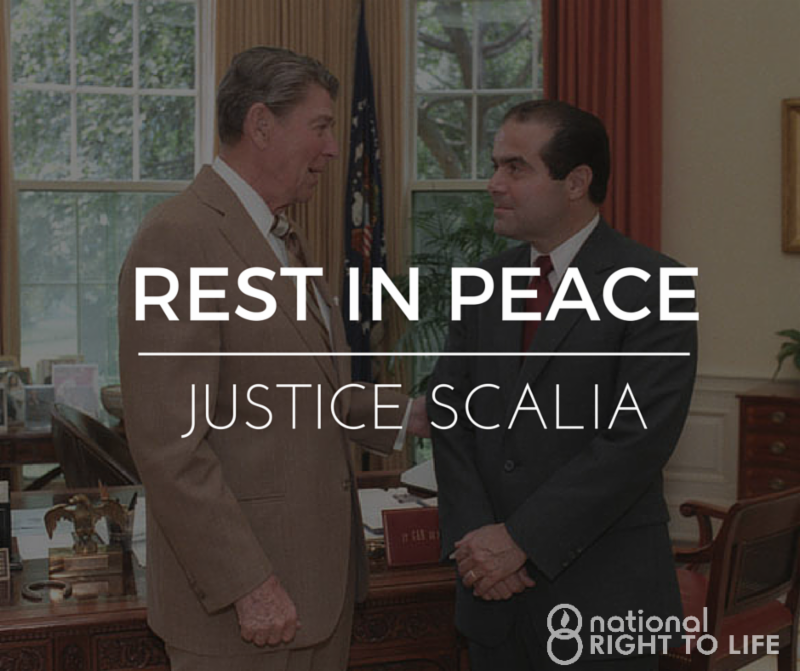 Missouri Right to Life and pro-lifers across the State of Missouri are saddened by the death of Judge Antonin Scalia. He has been a pro-life champion for many years standing for the constitutional right to life...read more. We extend our condolences and prayers to his family and friends. Why the U.S. Senate must refuse to cooperate in President Obama's plan to make the U.S. Supreme Court into a pro-abortion super-legislature...read more. A state lawmaker says Missouri's abortion laws need stronger steps to ensure the person giving parental consent for a teenage girl actually is her legal guardian...read more. Click here to read MRL's testimony in support of HB 1968. Testimony from Simon's mother, Sheryl Crosier, in support of HB 1915, Simon's Law...read more. Click here to read MRL's testimony. Indiana medical waste facility fined for disposal of aborted babies. Some aborted babies found to be from Missouri. Click here for the full legislative update and information on all the bills we are keeping an eye on. St. Louis Archbishop Robert Carlson has issued a pastoral letter addressing pro-life concerns regarding the Girl Scouts...read more . We are grateful for the Archbishop's leadership on this issue. Click here to read MRL's Girl Scout policy. A new study brings to light abuses associated with the practice of euthanasia for the mentally disabled...read more. A thirty-six year old physician is diagnosed with terminal cancer-and uses his final months of life to teach the world how to both live and die...read more. Hollywood doesn't know how to tell disabled stories, so it falls back upon tired tropes that often involve pity or awe...read more. February 10-March 20 - Statewide - 40 Days for Life spring campaign. Click for details on the following MO locations: Columbia, St. Louis, Kansas City. February 20 - Springfield - MRL Chapter meeting, 10 am at the Springfield Library Center on S. Campbell St.
February 20 - St. Louis - prayer procession from the Cathedral Basilica to abortion facility after 8:00 Mass. February 27 - St. Louis - Memorial service honoring Justice Scalia, 1:30 pm at the Cathedral Basilica of St. Louis, 4431 Lindell Blvd. March 30 - Jefferson City - Bott Radio National Day of Prayer: Show Me Your Glory Lord Event at the Missouri State Capitol, First Floor Rotunda. April 5 - Statewide - Pro-Life Action Day at Missouri State Capitol. We Need You in Jefferson City Again! This will be the day to emphasize "Defunding of Planned Parenthood"
May 5 - Jefferson City - National Day of Prayer at the Missouri State Capitol, South Lawn. The theme for National Day of Prayer this year is Wake Up America! May 17 - Jefferson City - Franklin Graham will be coming to Missouri for the America Decision Tour to lead prayer at the Capitol Steps for our state and nation. Unborn children need your help. Help us save babies and end abortion with a generous donation to Missouri Right to Life today.